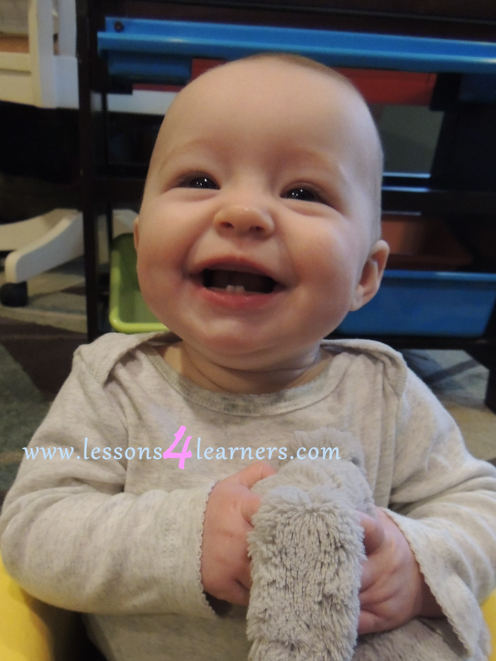 * Lesson plan objective and assessment can be adapted to use this activity with toddlers.. Begin by reading If I Were A Bunny with the child in a comfortable chair. Be sure to use an expressive tone to keep the child engaged. Encourage them to turn the pages on their own, guiding as needed. When finished, begin the memory craft by painting the child’s feet. You will need 2 sets of footprints. Clean the child’s feet and allow the prints to dry. Print off a picture of the child’s face and cut out. Cut out a belly out of paper. Glue all of the pieces together. 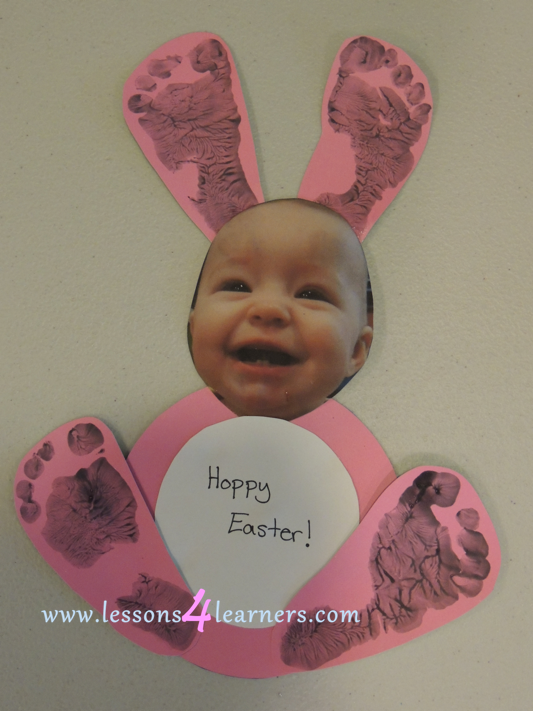 You can write “Hoppy Easter” with the child’s name and date if desired. Take anecdotal notes on child’s pre-literacy skills. Did they attempt to turn the pages on their own? Were they engaged? Did they laugh? These notes can be stored in the child’s portfolio for future reference. As they explore and try to manipulate things, infants and toddlers constantly make discoveries. For infants and toddlers, everything is new. They are learning about cause and effect, the use of tools, the permanent nature of objects even when out of sight, and how things fit in space. They also constantly learn new strategies for exploring and acting on things through imitation and experimentation. They learn by touching, mouthing, banging, and squeezing things. 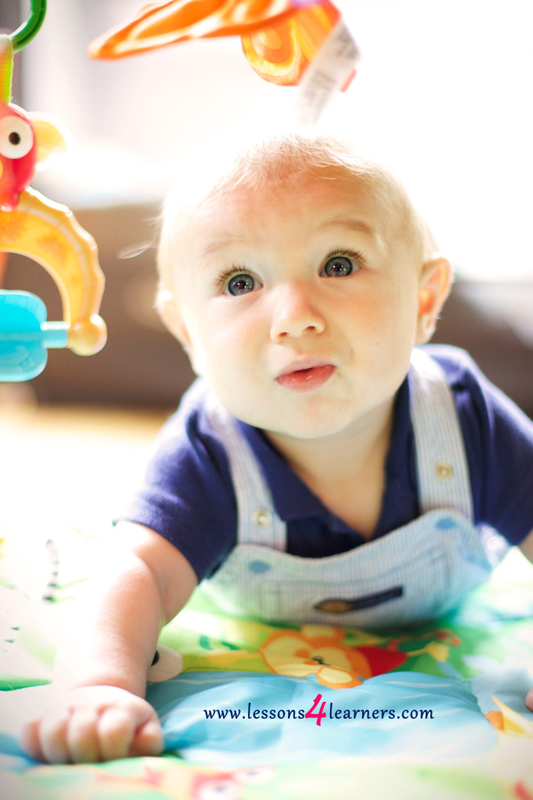 By observing infants and toddlers, teachers can see the discovery process at work. Teachers who recognize the discovery process are more likely to introduce experiences and materials that allow children to explore their interests further. Effective teachers respect the exploration and experimentation of infants and toddlers as they would respect the work of a scientist. They avoid interrupting the children and give them time to pursue their interests. When a child senses that her teacher appreciates her interest in the world, she continues to develop as a self-confident learner and keeps building her competence.